Free shipping. Buy direct from HP. 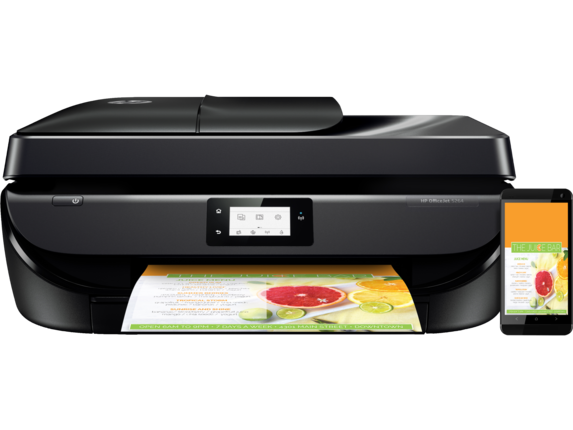 See customer reviews and comparisons for the HP OfficeJet 5255 All-in-One Printer. Upgrades and savings on select products. HP Instant Ink delivers the right ink, right on time, so you never run out again. Make an impression with Original HP ink cartridges – designed to deliver vivid color and crisp, sharp text.Create high-quality borderless photos and flyers – right in your home. Searching for a quality, all-in-one printer that won’t break the bank? The HP OfficeJet 5255 is just the HP DeskJet printer you’re looking for. Perfect for anyone heading off to college or for a small office, the HP OfficeJet 5255 All-in-One Printer is up to any task. With HP OfficeJet 5255, you can print, copy, fax, scan, and produce photos. Considering the extremely affordable cost of this printer and its ability to print photos, you won’t find a better deal anywhere. 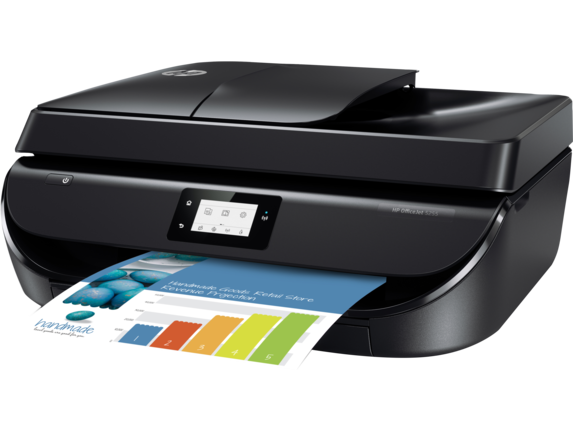 This helps make the HP OfficeJet 5255 one of our top recommended printers for college students. The HP OfficeJet 5255 is easy to set-up; you can practically start printing the moment you take it out of the box. Connect to your WiFi network and enjoy the incredible speeds at which this remarkable machine operates. You can print at speeds of 10 pages per minute (ppm) in black and 7 ppm in color; but don’t worry, you won’t have to compromise quality for speed. 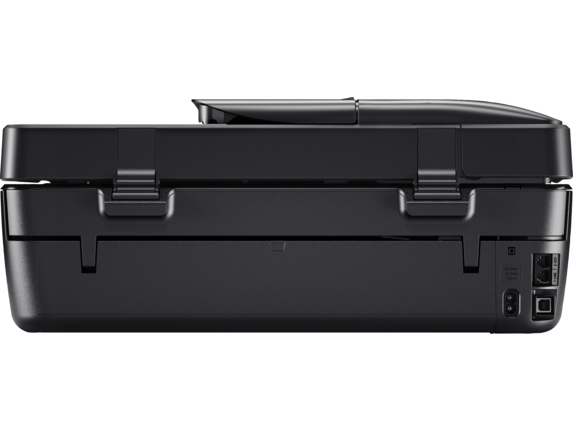 The HP OfficeJet 5255 prints at a resolution of 1200 x 1200 dpi when printing from a computer in black ink. For color prints, the HP OfficeJet 5255 produces 4800 x 1200 optimized color dpi. Of course, you can to use specialized HP photo papers for best results to produce high-quality photo images. When you need to send important documents for signing or review and you can’t afford any blurriness, the HP OfficeJet 5255 delivers with absolute clarity when faxing. With a fax resolution of 300 x 300 dots per square inch, and a fax memory of up to 100 pages, you can rest easy knowing that your documents will show arrive at your clients office in pristine quality. And if anything goes wrong, the memory will save and recover any of the documents you just faxed. One of the truly amazing features that this printer offers is its touch screen interface. It’s highly intuitive and easy to learn. You can organize printing and fax jobs with little to no effort. Not only is this printer’s software fast and easy to use, but it comes with some incredible, innovative features. You can print from anywhere in the world using your mobile device. With the HP Smart App, HP ePrint, or Apple AirPrint™ printing remotely will be a piece of cake. Whether you prefer Apple or Android, the HP OfficeJet 5255 is fully capable of connecting and operating with almost every kind of phone or tablet. 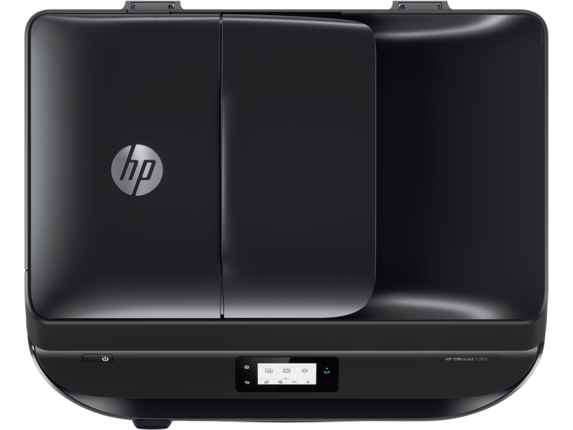 One of the many reasons businesses all over the world choose HPⓇ when it comes to purchasing business printers is the incredible ink that we provide. Benefit from our easy-to-use high-end printer, and expect the same quality performance from our ink. 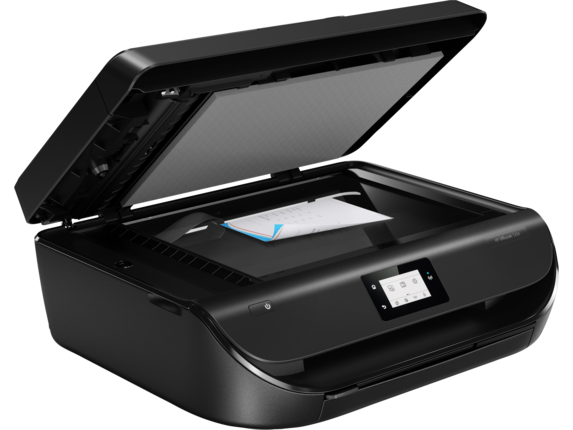 The HP OfficeJet 5255 All-in-One printer comes HP Instant Ink ready right out of the box. If you prefer to replace your cartridges as infrequently as possible, this printer is fully compatible with HP Original high yield ink. Consider signing up for our HP Instant Ink service. Not only will you save bundles on all of your cartridges, but we deliver straight to your door. We offer several affordable plans to accommodate you and your usage frequency. Save up to 50% with HP Instant Ink service. HPⓇ offers four different plans: a free printing plan, occasional printing plan, moderate printing plan, and frequent printing plan. Be sure to check out the fantastic options and find the one that’s right for your personal or business needs. And HP Instant Ink options come with roll over so you won’t waste any money when some months are busier than others.